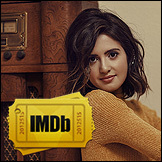 Laura Marano, star of Disney’s just-wrapped hit show Austin & Ally may not be a household name just yet, but you won’t be able to stop hearing her name soon enough. The bubbly 19-year-old is working hard on her next dream – becoming a pop star. Recently signed with Big Machine Records (the same label that launched Taylor Swift), Marano is at that exciting place in her career where suddenly, all of the pieces are falling into place. With a sister also in show business (Vanessa Marano who stars in ABC Family’s Switched at Birth) the energetic teen is taking what she’s learned from her older sis and putting her all into her career – one that already comes with a very loyal following of over a million Instagram followers and counting. We caught up with Marano for a quick day in our studio to talk about her secret to those beachy waves, the tricks she’s learned from growing up under the Disney spotlight, and much, much more. How would you describe your typical beauty look? I think my beauty style depends – one is more natural, which is my “every day look,” and one is much more glam. I love to kind of experiment with eyes – I love smokey, that’s my favorite thing to do. I’ll have my fair share of cat-eyes every once in awhile, but smokey is like where it’s at for me. We always see you wearing the prettiest loose waves – what are your tricks for getting the look? First thing I want to do is kind of blow dry the top, even if I come in with dry hair, kind of like everything looks better after a nice blow dry. And then there’s different irons that I use, it depends what I’m going for – like sometimes I use the bigger ones that have the bigger barrel for that beachy, loose action. Which beauty products are your absolute go-to’s? Tarte Blush is amazing and I love it – I have two, I have one that I just “plop” on and I love it, and then I have one that I use like a brush and it’s more standard and they’re still both lovely. I was also going to say my MAC Lipstick but also my MAC Mascara – MAC, they’ve got my back if you know what I’ve mean. 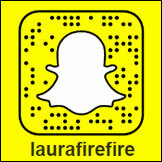 You worked on Austin & Ally for four seasons – and got to have a lot of fun with your character during the show. Any beauty tips you learned on set from the artists? There’s definitely some beauty tips I’ve learned working on Austin & Ally, for instance my makeup artist loves to utilize the waterline for other colors, so one time we did a look that was black eyeliner on top with a little underneath and then white in the waterline and it looked so good. Then, also, just mixing foundations – I think everyone knows this, but you kind of need to experiment to find the foundation that fits your skin the best. Your sister is also in show business – does she influence your beauty look at all? Oh, my sister has definitely influenced my beauty routine. She is an artist; I always compare doing makeup and hair to actually doing art. Makeup you’re painting and hair you’re sculpting, and I’m not talented in doing art in any sort of way, so it’s a struggle for me. But my sister is like a fantastic painter so she does her makeup flawlessly, so she’s definitely taught me – this is going to kind of sound bad but I think everyone can relate – she’s taught me the minimum you have to do to look the best. Because I really don’t like to put that much makeup on most of the time, so sometimes I won’t even like put that much foundation on and I’ll just dab a little mascara and maybe some stronger lips, or maybe a little cover-up here and there, but I try not to put that much on. Especially when I’m not working, because hey, your face needs a break sometimes.